The new 3s PowerCure allows you to achieve esthetic posterior restorations with high efficiency. The incremental layering technique is very time-consuming, especially when dealing with large cavities. Dentists can now reduce their treatment time by more than half while achieving the same esthetics and function. The 3s PowerCure product system is key to this improvement in efficiency. Many dentists would welcome an efficient alternative to the complex multi-layer technique. They want a composite that streamlines their treatment times and offers higher processing safety. This applies in particular when dealing with larger restorations in the posterior region of permanent dentition, in Classes I and II. 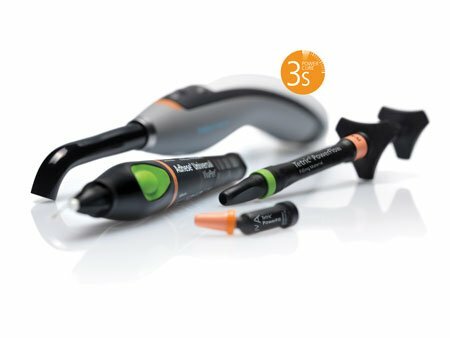 3s PowerCure provides the solution, namely products that are optimally coordinated for direct restorative procedures to enable esthetic, high-quality posterior restorations to be produced extremely efficiently.